A frenum (or frenulum) is the term given to a small fold of tissue located at various parts in the mouth. The frenum is a small ligament which attaches a muscle to the gum tissue. These frenum may be attached too close to the gum margin and pull on the tissue causing or worsening recession. The most common source of injury or damage to the frenum comes from foreign materials and devices put into the mouth. Braces and dentures can rub against the tissue of the mouth and cause ulcers, sores, and bleeding. Aggressive brushing can also damage the frenum and cause problems that lead to the need for gum repair. Some frenum tissue structures are larger than others, may be too big, or connect too well or not well enough. All of these abnormalities can cause problems with things like eating and talking. For example, if a patient is “tongue tied” most often they have an unusually short, thick lingual frenum. It restricts the movement of the tongue and keeps it anchored to the floor of the mouth too much. Issues with oral frenum tissue can be difficult to detect because dental devices may feel comfortable at first. 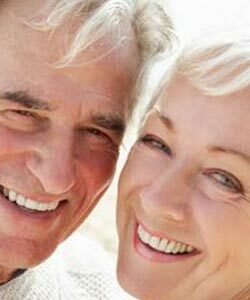 Braces may not feel too bad and dentures may feel like they are fitting well. However, as the patient speaks and their tongue moves around, the frenum can get very irritated and ulcerated. Unfortunately, this dynamic movement can be difficult to capture with x-rays and other imaging processes. Careful observation of the frenum, routine teeth and gum checkups, and consultations with the dental team are the best ways to detect issues before major injury or damage occurs. A frenectomy is a simple oral surgical procedure done to reduce the connection of the frenum in the mouth or in some cases remove it completely. A frenum is a muscular attachment that holds the tongue in place against the floor of the mouth and also holds the upper and lower lips in place against the gums. These are known as the lingual frenum and the labial frenum. A labial frenum is the one that holds the lips against the gum. If the frenum is too loose or too tight it can affect movement of the lips and make speaking and eating difficult. It may also lead to issues with the teeth and gums later in life. Usually, dentists prefer to wait until the adult teeth are in place fully before doing any work on the frenum to ensure the surgery doesn’t cause problems with teeth alignment down the road. Usually, a frenectomy and associated gum repair is done only if there is pain associated with the connective tissue or if other options such as braces cannot correct the issues the patient is experiencing. The second kind of frenum that dentists commonly get questions about is called lingual frenum. This is the muscular tissue that helps to hold the tongue to the floor of the mouth and limits how far and where it can move. Lingual frenum that are too thick or connect too far along the bottom of the tongue restrict movement too much and lead to a condition known as being ‘tongue tied.’ Lingual frenectomy will most often be performed by a dental team only if the presence of frenum is such that it is preventing a child or adolescent from eating and speaking properly or causes problems with eating or breathing. Patients who are informed about their choices and have chosen to undergone frenectomy have experienced better quality of life. It reduces oral pain and discomfort for the patient. It improves facial appearance and tooth and gum structures. It promotes high levels of self-confidence in appearance and speech. It enhances bite power, uniformity, function, and form. It stabilizes prosthetics such as dentures and prevent injury from occurring. It enhances the ability of an individual to communicate freely and correctly. It improves overall wellness by ensure good eating habits.